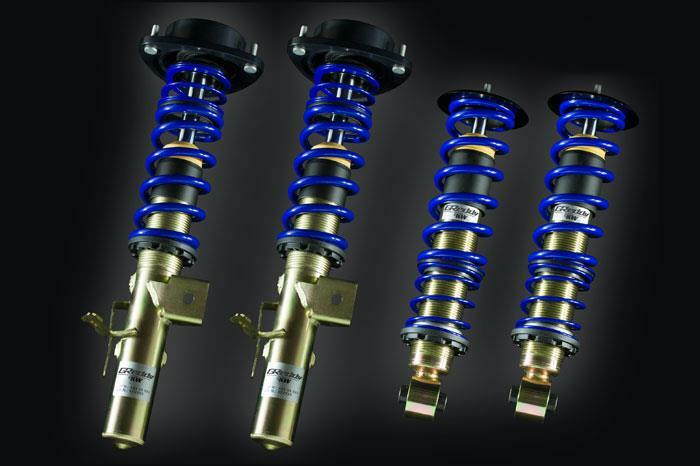 Building on the success of our Formula Drift racing program with technical partner, KW Suspension, GReddy is pleased to announce the introduction of our new performance coilover line. By collaborating with renowned suspension manufacturer, KW, GReddy can offer high-quality, tuned systems at an affordable price to enthusiasts. 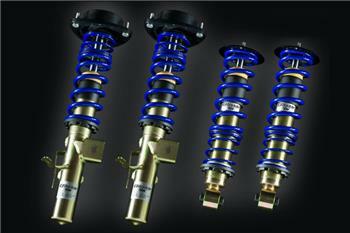 GReddy Performance Coilovers by KW Suspension combine the best from around world for your Japanese import vehicle. Designed for the optimum balance of traction, comfort, and adjustability for American roads and tracks, these groundbreaking systems incorporate years of Japanese tuning knowledge with highest-quality German innovation and construction standards. All systems are manufactured exclusively in KW’s state of the art factories. The combination of KW’s latest advanced low friction, pressure-resistant twin-tube damping technology, with unique GReddy specifications for damping and linear spring rates provide the ultimate in quality, performance and durability.